It's been a very rainy summer here in Florida this year. The pond behind our home is at the highest level I've seen in the three years we've lived here. It is even higher than it was right after Hurricane Irma last year. Summer Rains measures 24" x 30". 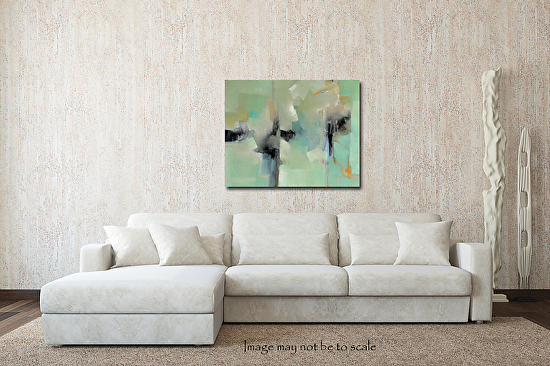 This textural, abstract acrylic painting is on a gallery-wrapped canvas with the sides painted in a shimmery gray/black micaceous iron oxide. The painting is signed on the side, dated and signed on the back. It is wired and ready to hang. A light coat of clear acrylic varnish has been applied to seal and protect the beauty of this painting. Take your painting to the next level! Schedule your private abstract painting workshop today!